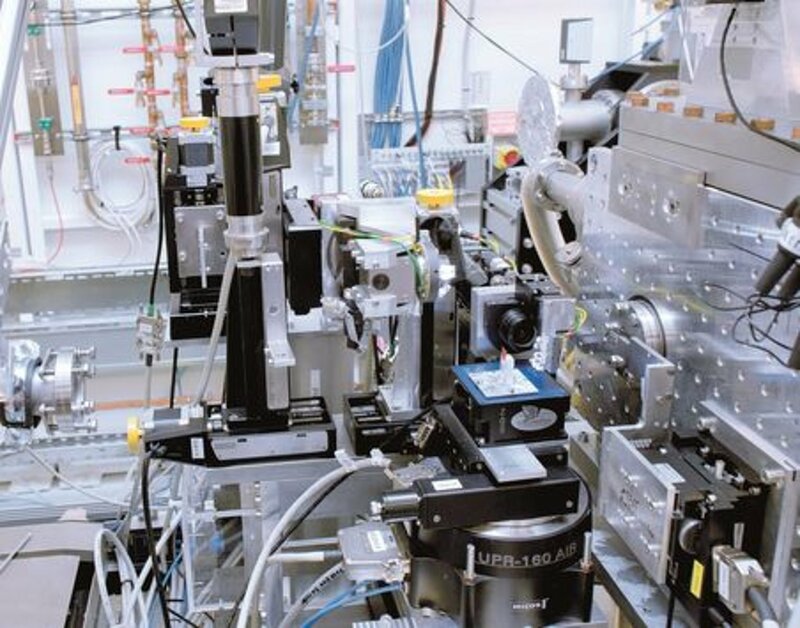 The Beamline P10 for Coherence Applications benefits from the outstanding brilliance of the PETRA III X-ray light source at the DESY research center in Hamburg, Germany. The flux of coherent synchrotron radiation exceeds that delivered by existing storage ring based sources. P10 operates in the medium to hard X-ray regime (5 keV to 25 keV). The Institute for X‑Ray Physics of Göttingen, Germany, operates a X-Ray-Holography Endstation at beamline P10. Their main research aims are directed at the structure, the collective dynamics, the self-assembly and the interactions of biological macromolecules. A particular approach is based on X‑ray waveguide optics, enabling the highly localized delivery of X‑rays and a quasi-point source for holographic imaging. Thus, spot sizes down to 10 nm have been achieved, and now such X‑ray nanobeams can be used for spatially resolved diffraction, and as quasi point sources for holographic imaging. PI has provided for the motorized sample positioning setup. A stacked system of XYZ linear axes equipped with stepper motors are used for aligning the rotation axis in the X-ray beam and for distance variation between the waveguide and the sample. Above, a 360 degree high-precision, air-bearing, rotation stage is used for tomography. 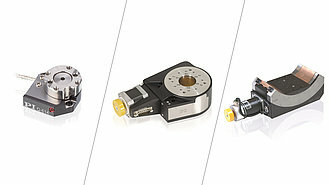 Upon this basis, a high-resolution XYZ piezo stage for ultra-fine positioning over a stroke of up to 400 μm is used to adjust the sample exactly in the center of rotation, and also enables ultra-high-precision XYZ-scans. 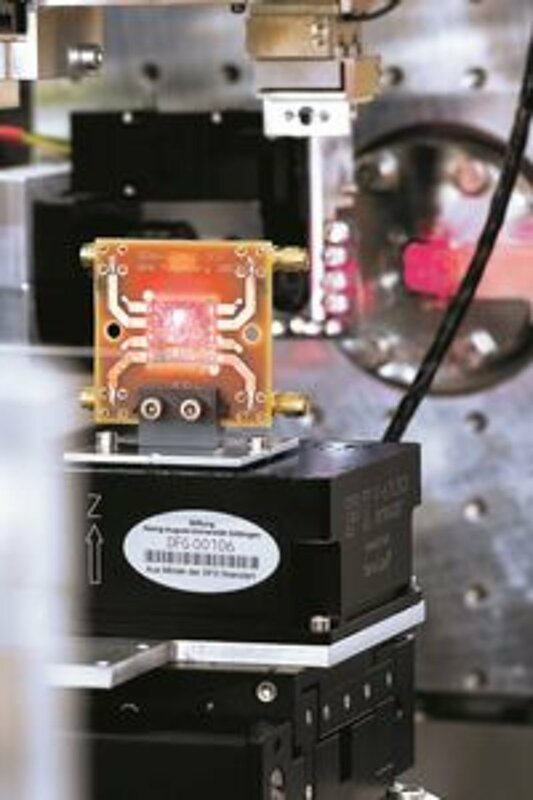 With this, on-the-fly measurements of live cells are perfomed scanning an area of 100 μm × 100 μm. A special linearization software inside the digital piezo controller allows for a tracking repeatability in the nanometer range.